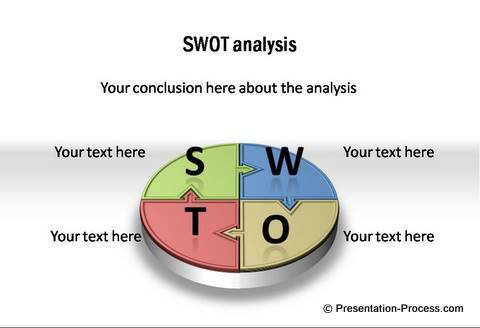 Create beautiful 7S diagram using PowerPoint SmartArt tool. 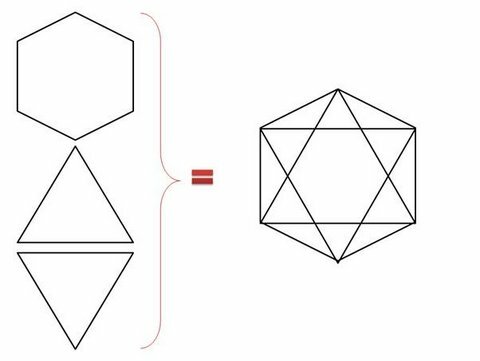 Follow our simple step by step instructions to create this useful diagram in minutes. You can create this 3 dimensional model using SmartArt in no time. 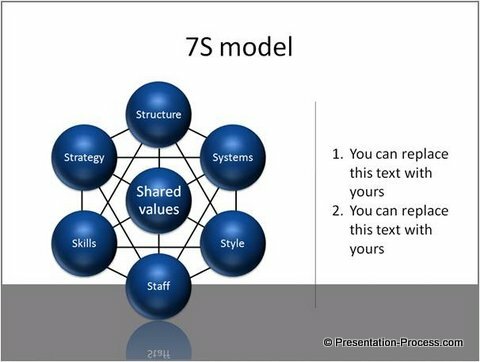 McKinsey 7S framework is a famous management model. 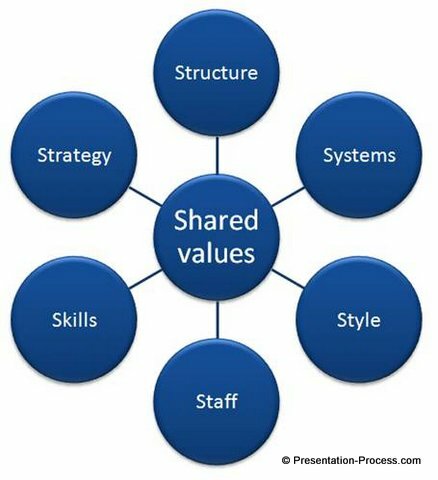 The model is used to assess changes in the internal situation of an organization. 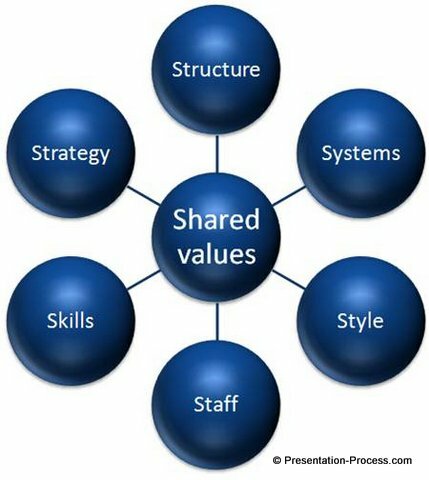 The model is based on the philosophy that a successful organization has 7 elements like: Structure, Systems, Style, Staff, Skills and Strategy aligned around shared values and the elements mutually reinforce each other. Go to Insert -> SmartArt -> Cycle -> Basic Radial. This will form the basis of our model. Enter the width and height values as 48Pt for both Top and Bottom bevels. Right click on the shape. 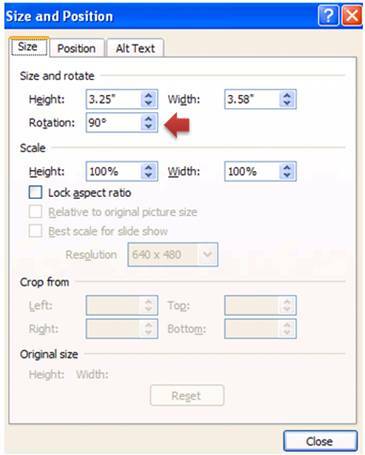 Go to ‘Size and Position’ option and enter the Rotation angle as 90⁰. 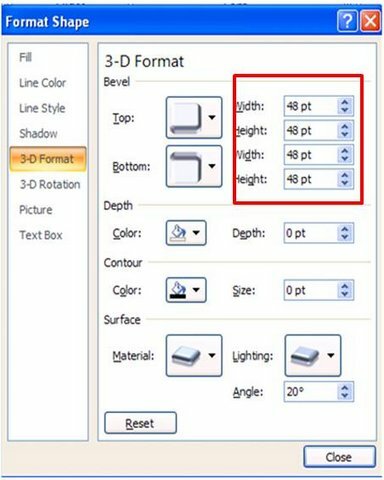 Group the shapes and paste them on top of the 3D model you created in Step 2. Use ‘Send to Back’ option to push the lines to the background. 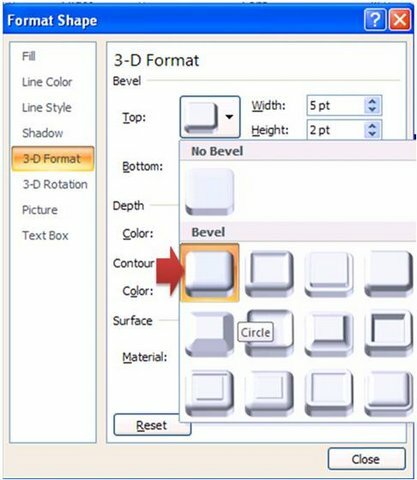 You can use these formatting options on other types of Smartart objects as well. 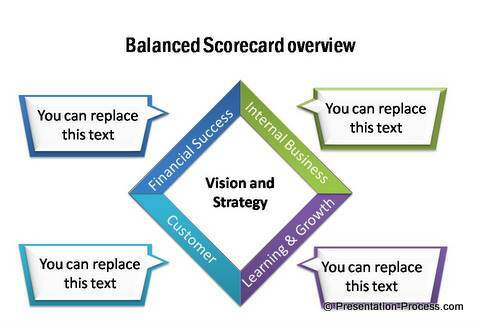 The quality of diagrams you use in your business slides reflects the quality of your thoughts too. But, creating high quality diagrams takes time and effort. 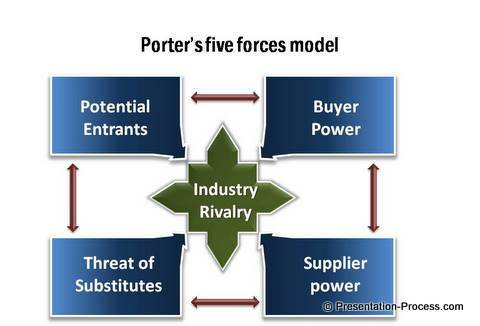 Most business presenters are too busy to create such high quality diagrams for their presentations. That is why we came up with our ’750+ PowerPoint Charts and Diagram templates pack for CEOs’. 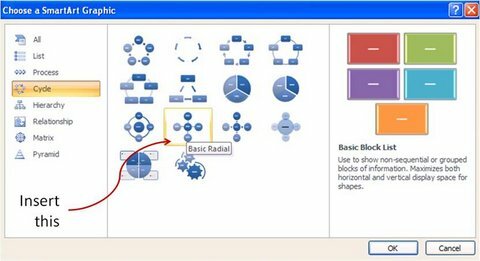 The pack has more than 750 high quality diagram templates that are fully editable. 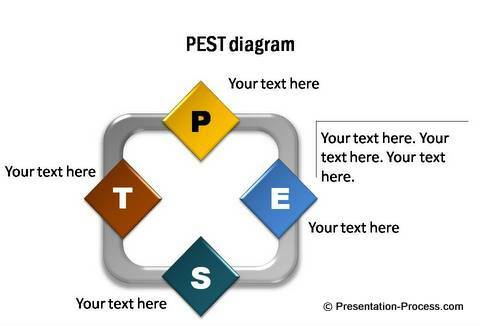 You just need to copy our diagrams to your slides and replace text. Your professional slide deck gets ready in minutes. Why waste time creating your slides from the scratch, when you have such high quality solution like ‘CEO pack’ available off the shelf? Please browse through our diagram templates collection now and see how the pack can change the way you create your presentations forever.